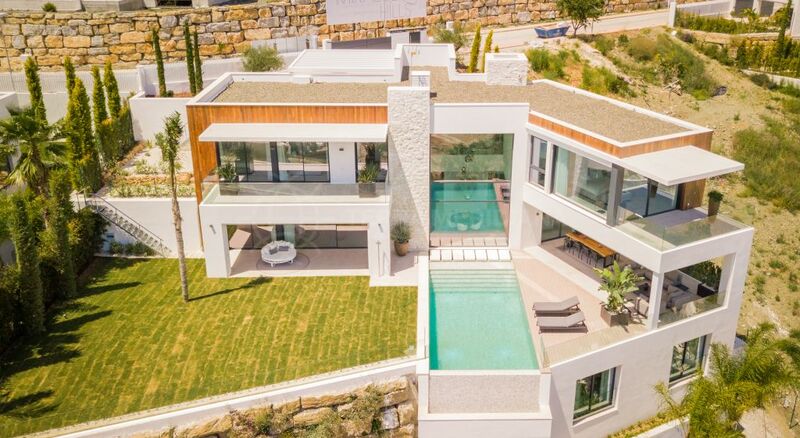 Located in the ultra-exclusive development of Monte Mayor Golf & Country Club this spacious villa resonates with updated finishes and character-rich style that lends itself to a modern-day functionality. 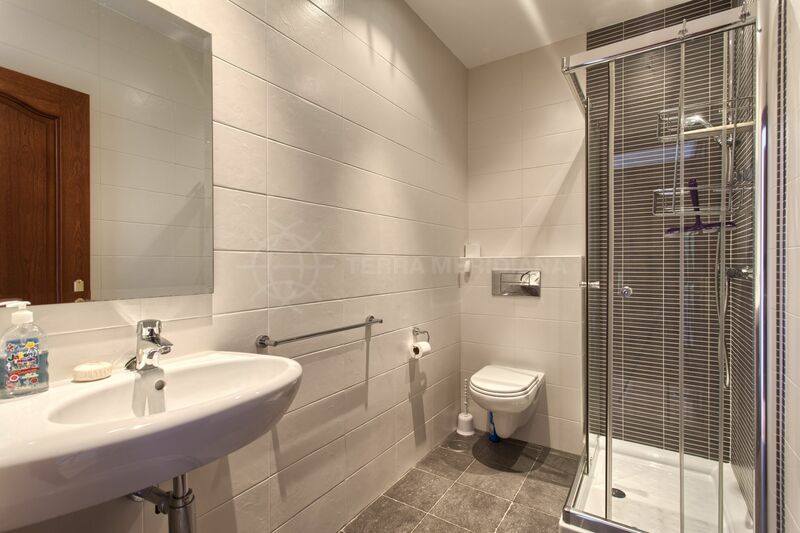 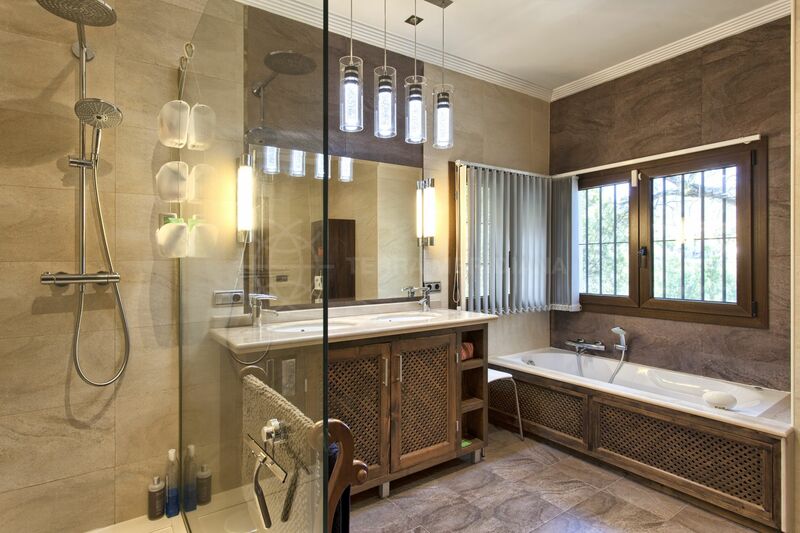 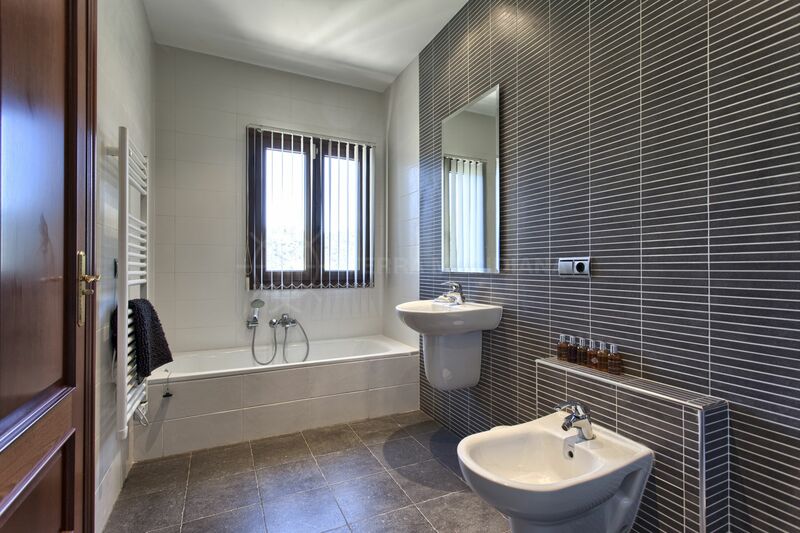 Fusing natural light, warm comfort and chic designer flair the property boasts the ultimate in privacy and security. 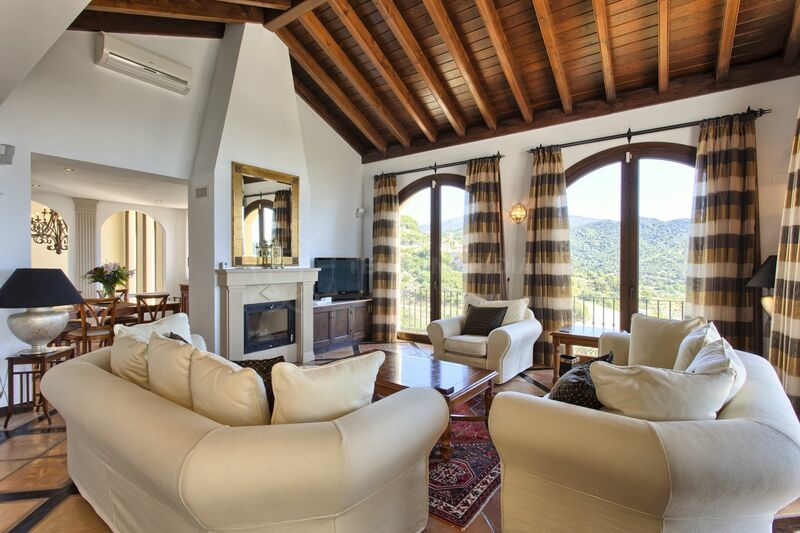 The main floor showcases an elegant living room with a vaulted wood beamed ceiling, fireplace and spectacular views of the surrounding hills, a dining area, a modern fully fitted kitchen with island, an office and a guest suite. 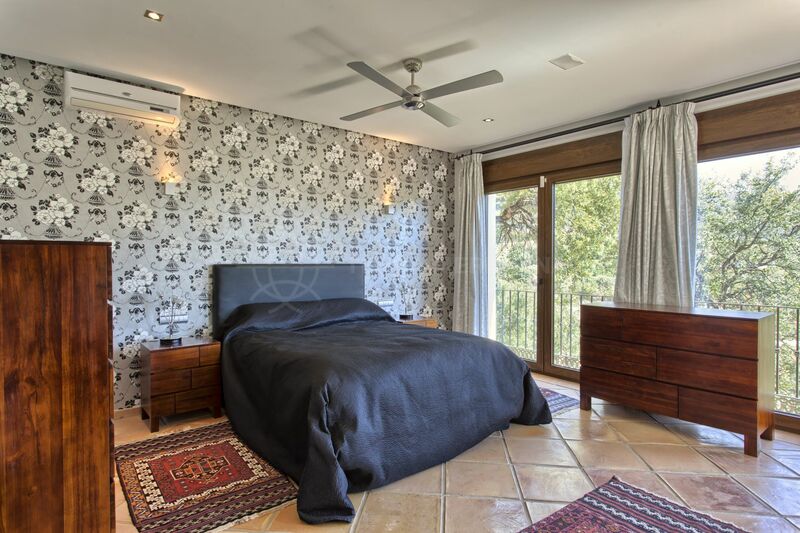 The lower garden level offers the master suite as well as 2 guest suites. 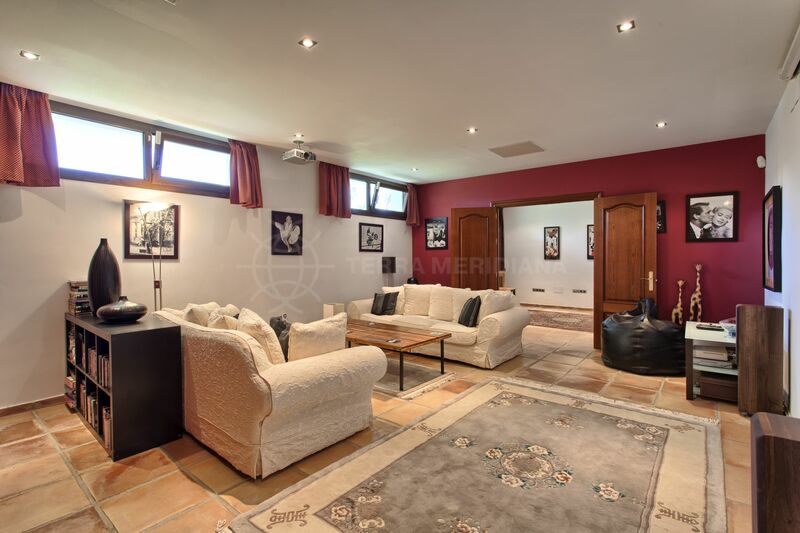 There is also an entertainment area which could easily be converted into an extra bedroom. 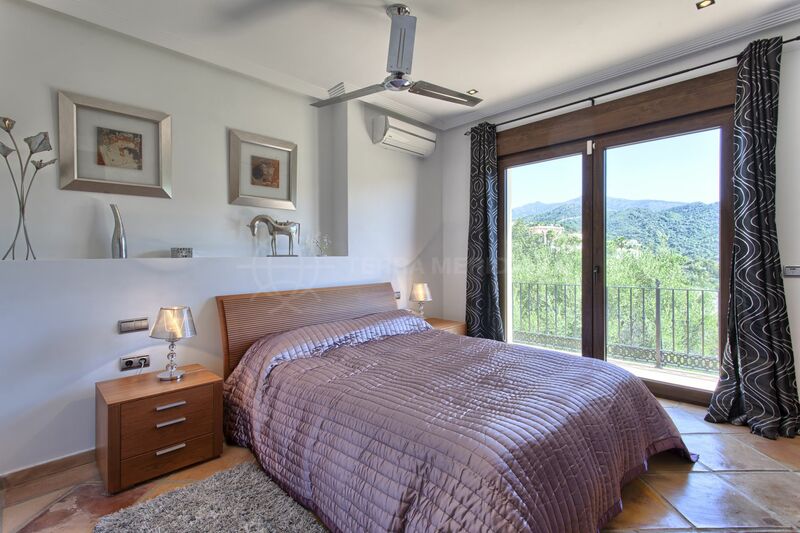 Noteworthy features include solar panels for hot water, terracotta flooring, an alarm, automatic irrigation system, and satellite TV. 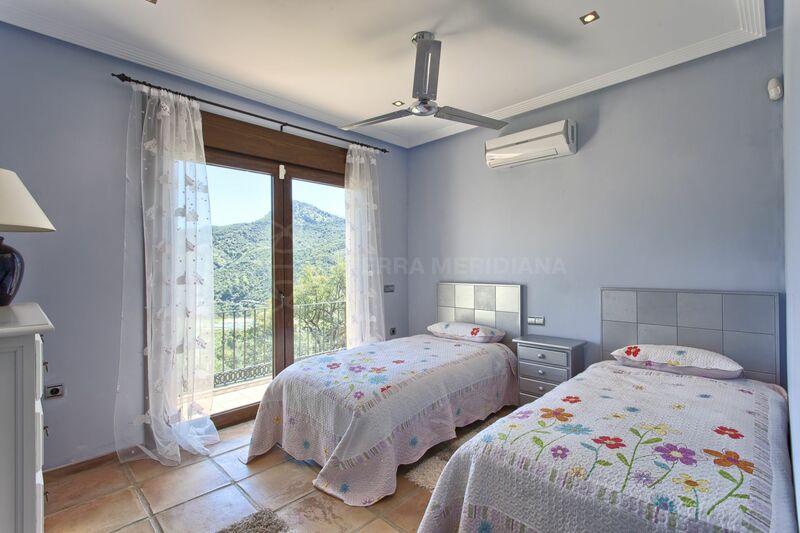 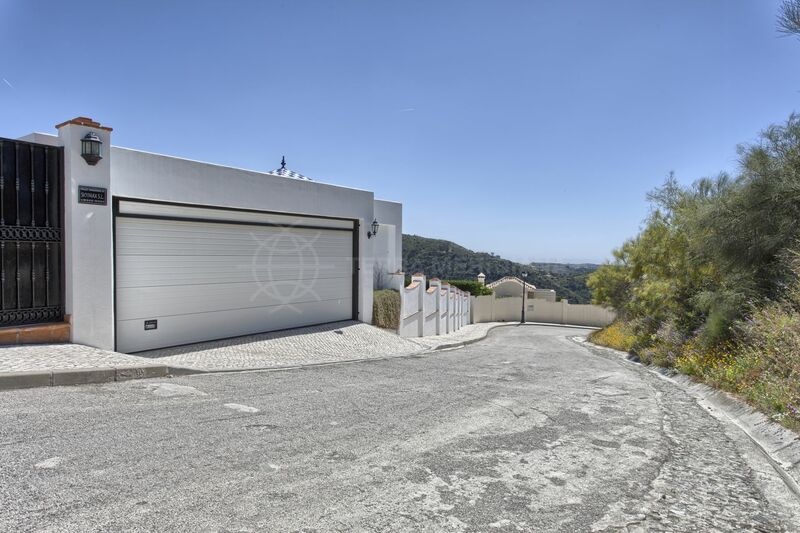 Monte Mayor is a gated development situated in a sheltered valley in an area of natural beauty with far reaching views of the deep blue Mediterranean, Gibraltar and the African coastline. 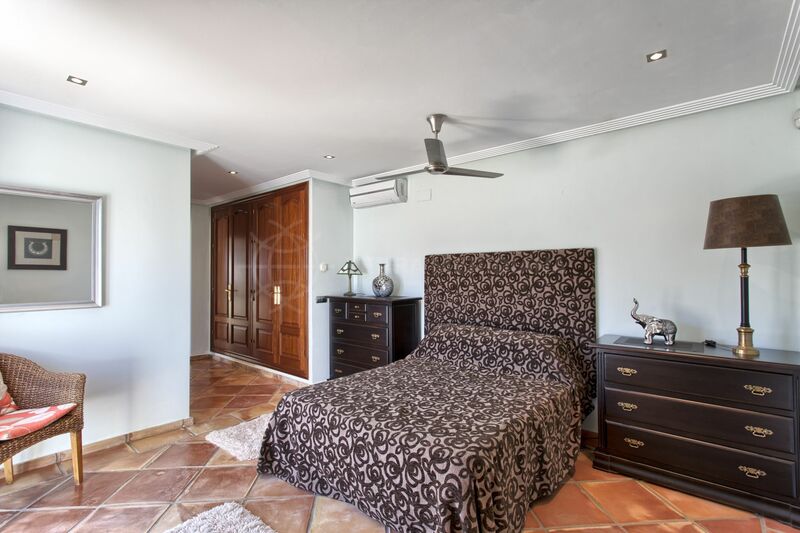 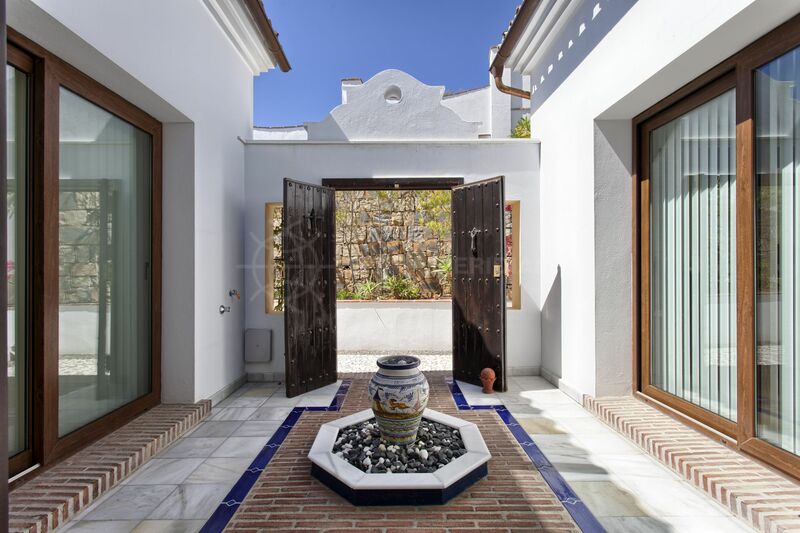 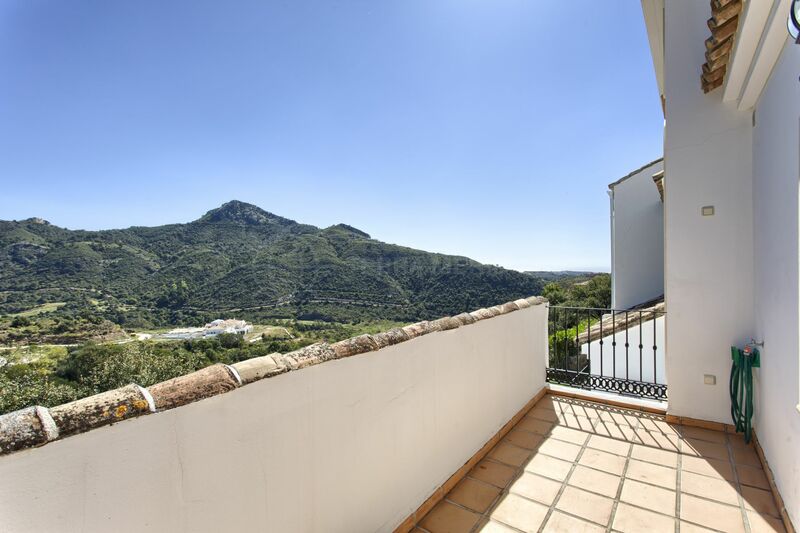 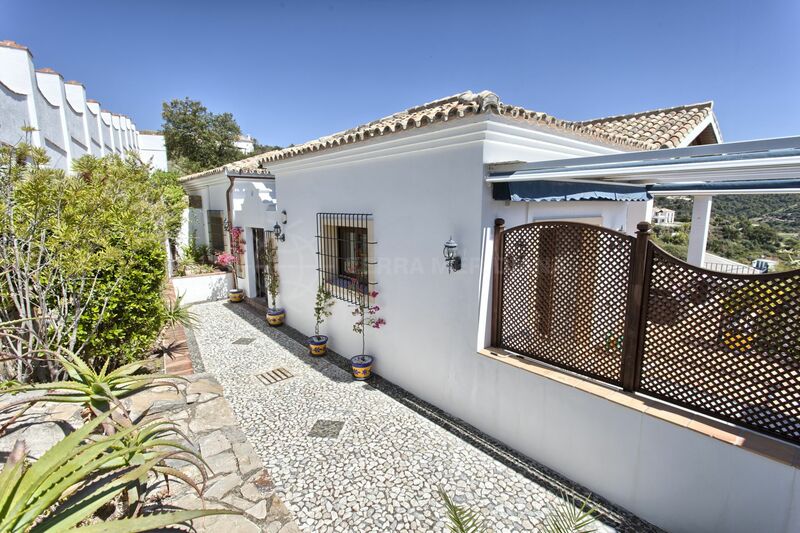 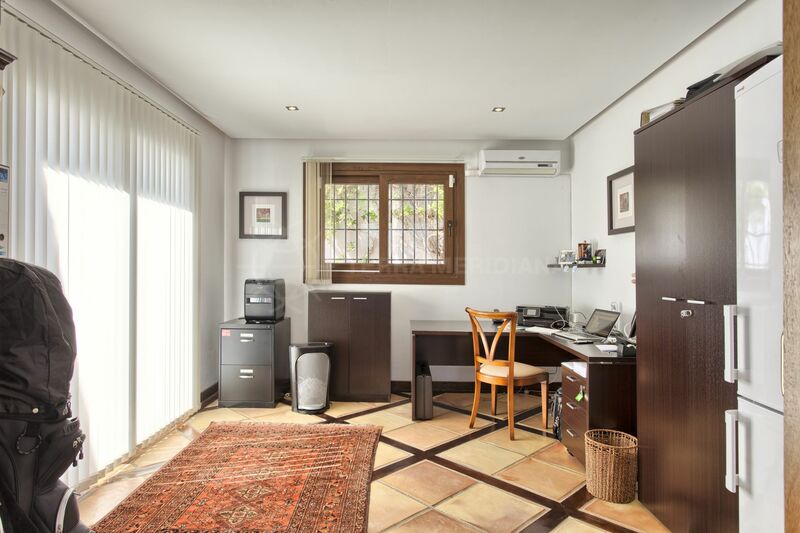 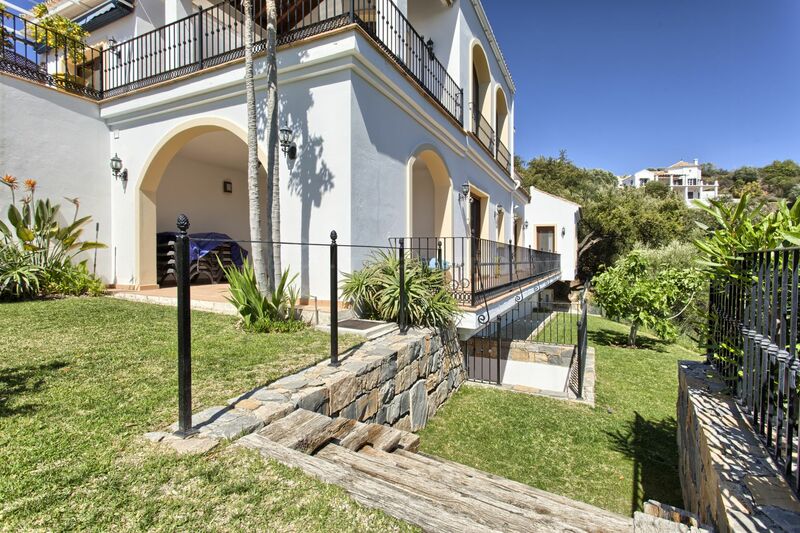 Adjacent to the Marbella Club Golf Resort, just over 15 minutes to the beaches and approximately 10 minutes to the quaint village of Cancelada with its cafes, restaurants, shops, banks and post office. 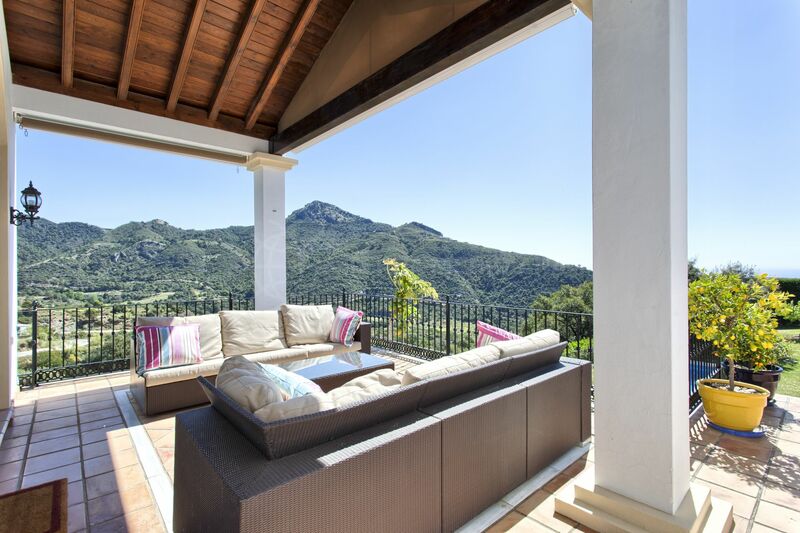 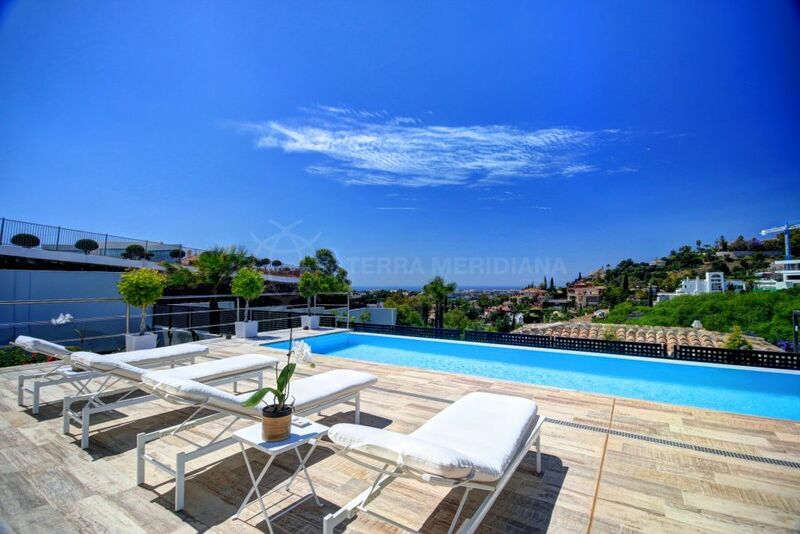 "The perfect home to enjoy Costa del Sol outdoor living." 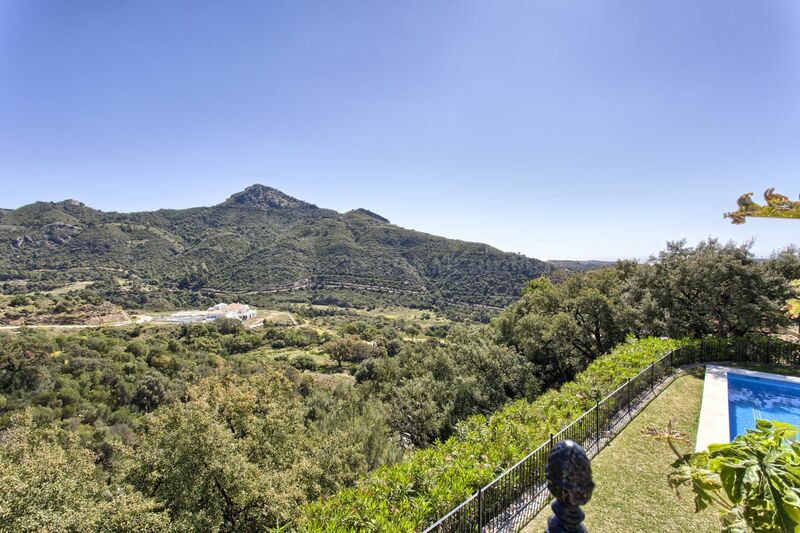 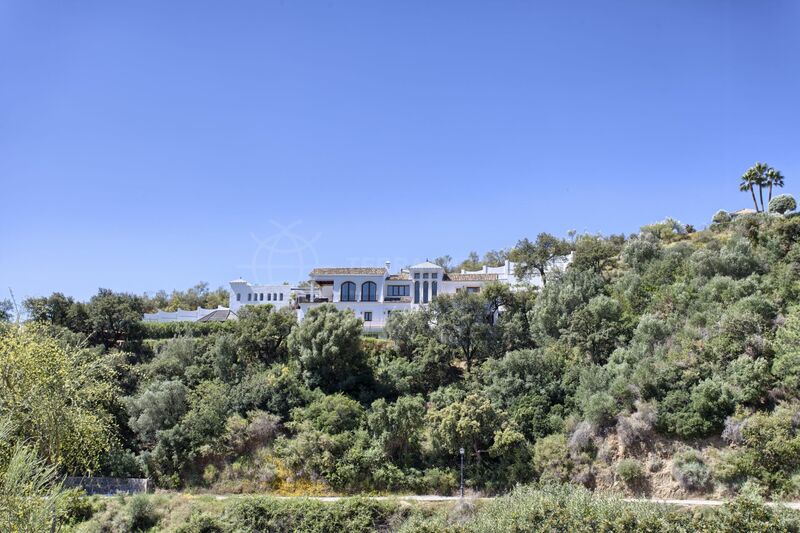 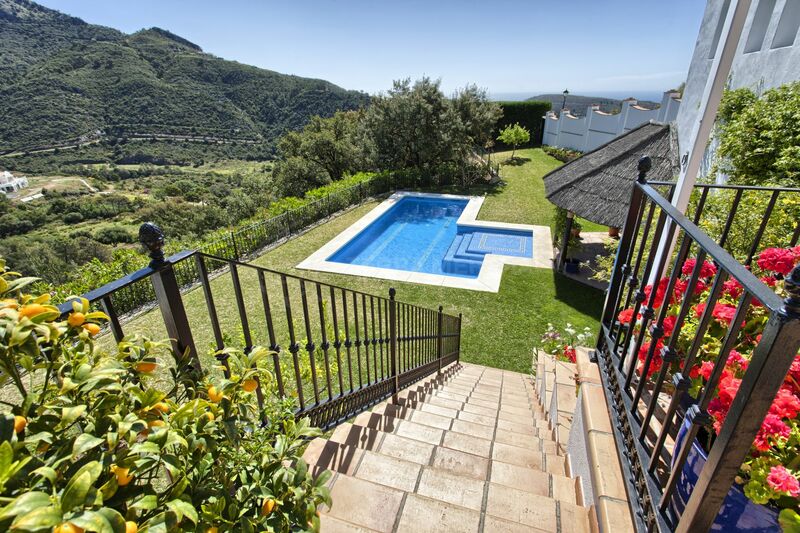 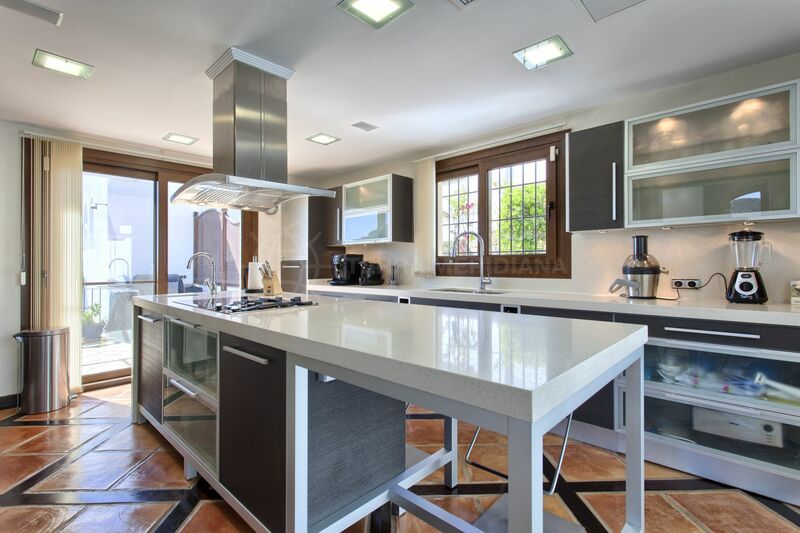 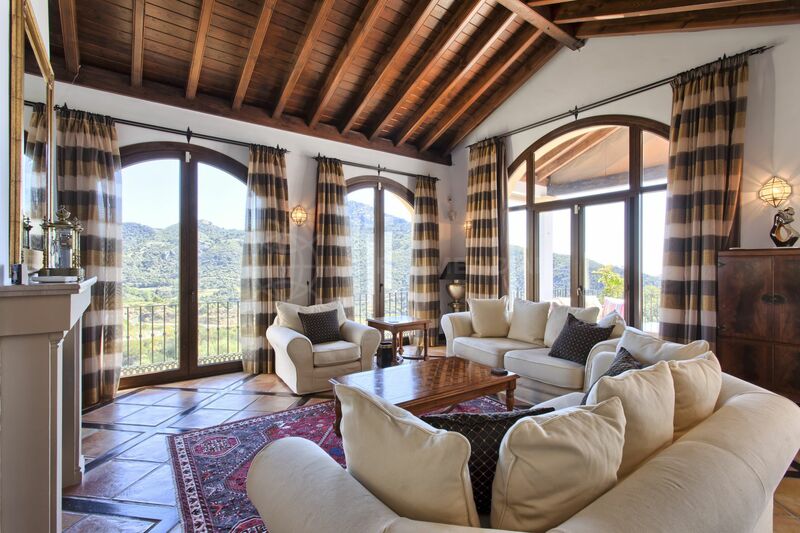 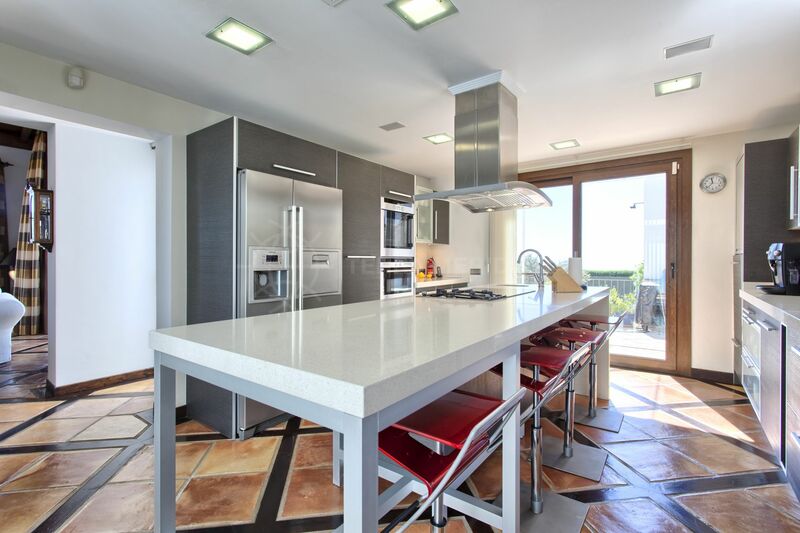 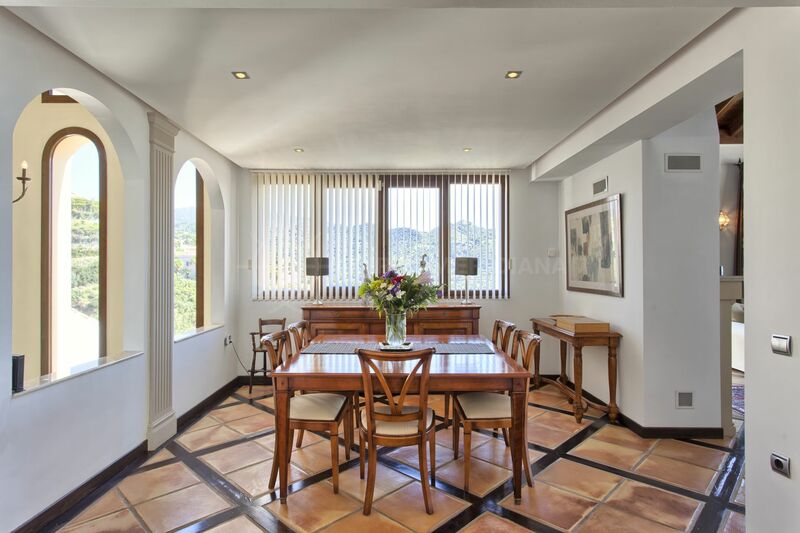 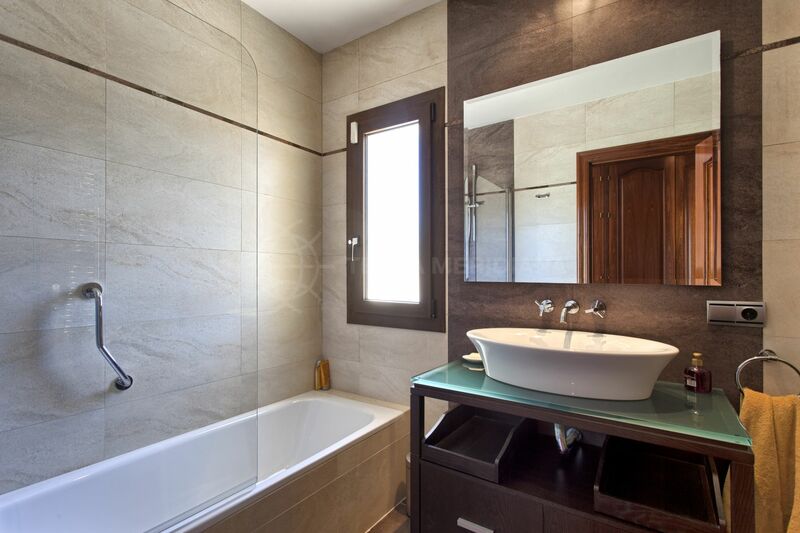 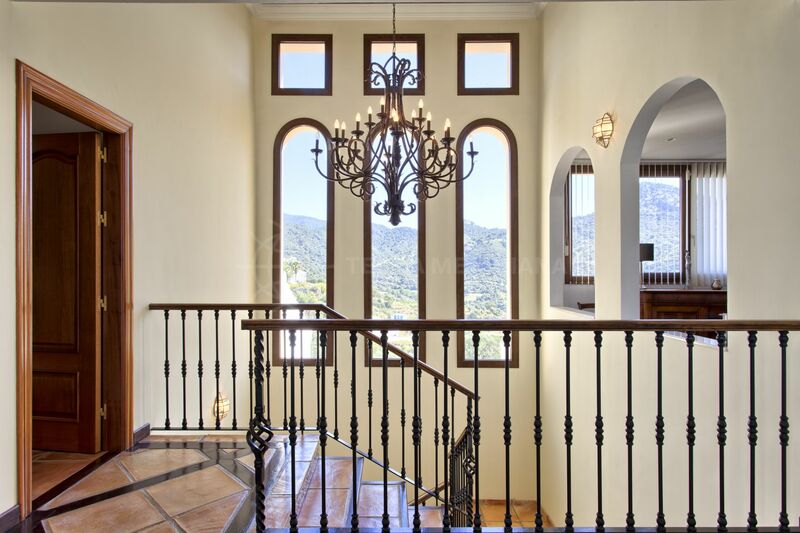 Please, send me more information about ref TMXV1850, Villa in Monte Mayor, Benahavis or similar properties.